• The TFI Smart Square has a High Density Stabilizing Wing with a Low Density Aluminum Body resulting in increased head MOI for stability and minimal distance loss on off-center hits. 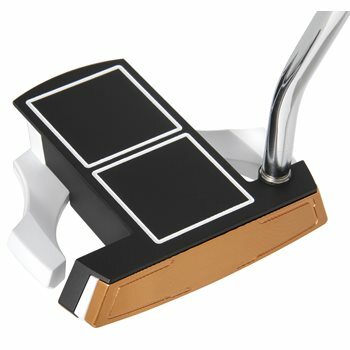 • Dual Axis Alignment in which two parallel lines extend from the center of the face to frame the ball perfectly down the line, while two perpendicular lines offer instant feedback when the putter is misaligned at address. • True Feel Innovation, or TFI face combines a Milled Copper Infused Face Cap over a Copolymer Insert for the greater feel and consistency across the face.